I had just did a shadow stamping card for my Tim Holtz class, so I was familiar with the technique. 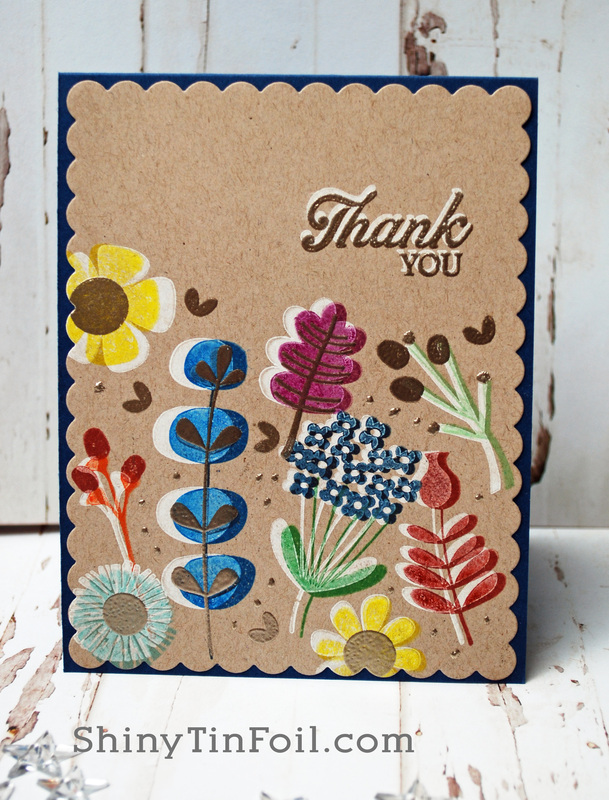 I love Stephanie Klauck’s card, but I wanted more color to mine. So I decided to use Kraft cardstock and use multiple colors of ink. For those who do not have the My Favorite Things Hybrid Stamp pads, I highly recommend them. The colors are so bright and the ink is so juicy. Sometimes I will get an ink pad and will be so disappointed that I can hardly get any color from them. These inks ROCK!!!! To highlight the card, I embossed the secondary images in Liquid Platinum embossing powder. You can see the embossing better in this highlight. 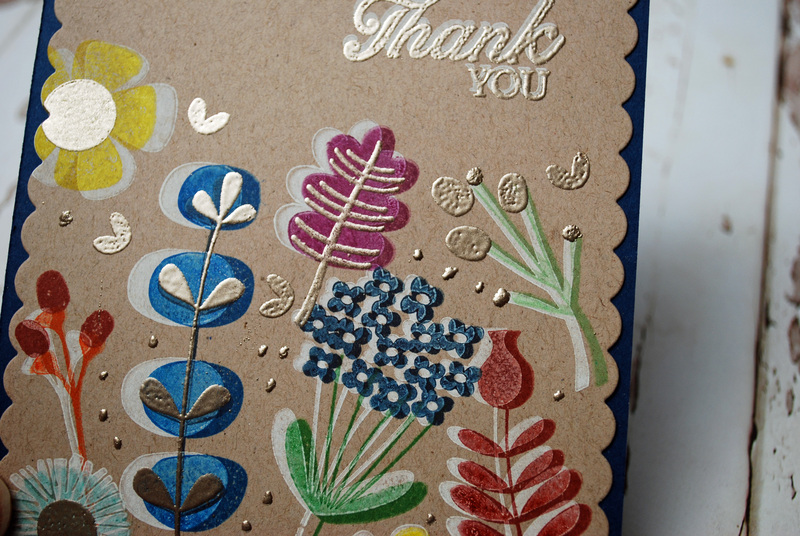 I used the trick I learned in class about using a glue pen to make small dots and add embossing powder on it.